Room 237 (MPI Home Video) — Film theory: healthy academic brain exercise or ludicrous waste of time? According to Rodney Ascher’s Room 237, why, it’s both, actually! To sincerely explore this question, Ascher and producer Tim Kirk set their targets on Stanley Kubrick’s 1980 entry into the horror canon, The Shining. Kubrick’s private nature, as well as his superior, though comparatively infrequent, output, has made his entire oeuvre a target of obsession for cinephiles across the globe. Yet The Shining has birthed a particularly dense and often gloriously head-scratching amount of interpretation: was it Kubrick’s apology to his wife for lying to her about shooting the fake moon landing footage? was it a middle finger to the book’s author Steven King? was it a pointed metaphor about the Nazi holocaust and/or the white man’s systematic slaughter of Native Americans? 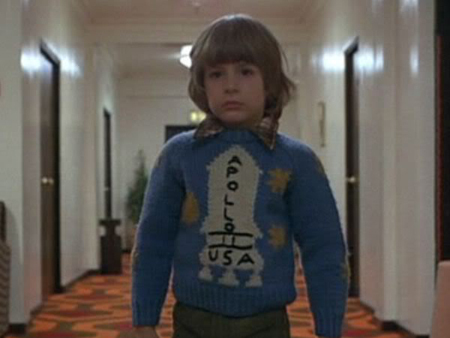 These theories—and so many more—make The Shining the ripest source material for a clever cine-investigation such as this. Read A Conversation With Rodney Ascher. Available on DVD , Blu-ray , and at Amazon Instant . Something In The Air (MPI Home Video) — Be sure to read Tom Hall’s great A Conversation With Olivier Assayas if you haven’t already! Available on DVD and at Amazon Instant . Paid in Full (Miramax/Lionsgate) — Early on in Charles Stone III’s 2002 crime drama Paid in Full, there’s a scene where Ace (Wood Harris), a straight-and-narrow young man beginning to succumb to the allure of drug dealing, goes to see De Palma’s Scarface remake in a Harlem theater. The Uptown crowd loses their minds, stomping and hollering as Pacino’s coke-fueled Tony Montana makes his last stand. This is intercut with a fast-paced, brutal scene of Ace’s friend Mitch (Mekhi Phifer) stalking and killing a thug who robbed one of Mitch’s workers. Stone and his screenwriters, Matthew Cirulnick and Thulani Davis, are playing on multiple levels of reference here. Paid in Full is based on the true story of 1980s Harlem cocaine kingpins AZ (Ace in the movie), Rich Porter (Mitch), and Alpo (Rico, played by the rapper Cam’ron). The trio’s real-life exploits would later become important source material for New York’s next generation of hip hop MCs, including the great triumvirate of Nas, Biggie, and Jay-Z. Read Nelson Kim’s full HTN review. Available on Blu-ray . 3 Films By Roberto Rossellini Starring Ingrid Bergman (Criterion) — Includes Stromboli, Europe ’51, and Journey To Italy. Available on DVD and Blu-ray . Halloween: 35th Anniversary Edition (Anchor Bay) — Available on Blu-ray . The Machine Which Makes Everything Disappear (Icarus) — Available on DVD . One Track Heart: The Story of Krishna Das (Zeitgeist) — Available on DVD and at Amazon Instant . Call Me Kuchu (Docurama) — Available on DVD and at Amazon Instant . My Brother The Devil (Virgil Films and Entertainment) — Available on DVD . V/H/S/2 (Magnolia) — Available on DVD , Blu-ray , DVD/Blu-ray/VHS , and at Amazon Instant . Fill the Void (Sony) — Available on DVD and at Amazon Instant . Iron Man 3 (Walt Disney) — Available on DVD + Digital Copy , Blu-ray/DVD Combo , HD Plus Bonus Features , 2-Disc Blu-ray/DVD + Digital Copy, 3-Disc Blu-ray 3D/Blu-ray/DVD + Digital Copy.